Casablanca offers a combination of Jewish Heritage and Jewish sites that can be seen on a Casablanca one-day tour or in context of a longer Morocco Imperial City tour. In almost every Moroccan city there is a Jewish presence that can be felt whether it be within the ancient Jewish cemeteries, synagogues, mellahs, or in monuments of Muslim rulers who historically maintained strong ties with the Jewish community. 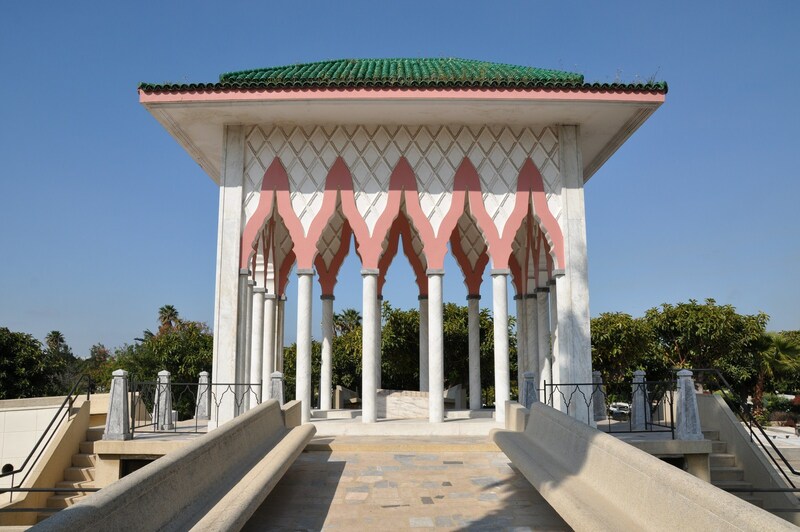 The synagogues, cemeteries, monuments and communal institutions located in the Imperial city and economic capital of Casablanca show how important the city has been to the Jewish community during the twentieth century. 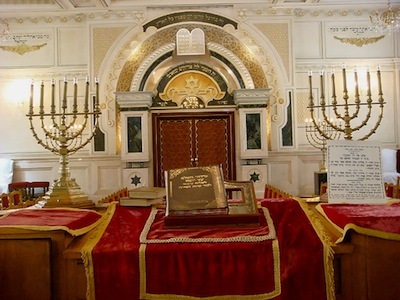 Some of the Jewish Heritage sites seen on a one-day Casablanca Jewish tour range from the Jewish Mellah to the Museum of Moroccan Judaism, a visit to a Jewish Synagogue, the Jewish cemetery with the option of a kosher lunch. 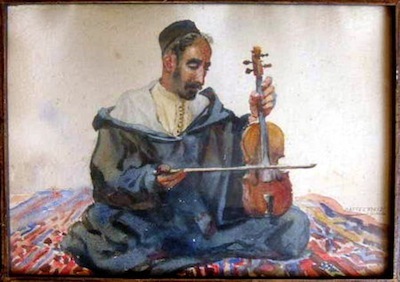 The mellah of Casablanca is just about a century old. It peeks the senses with its sea of women in brightly colored djellabas carrying and selling fruit and vegetables throughout the tiny, narrow streets. While Jews no longer live in the mellah, kosher butchers can be found in the old market, next to other butchers selling horse meat. The Jewish cemetery in the mellah is open and quiet, with well-kept white stone markers in French, Hebrew and Spanish. Once a year, the Jews of Casablanca celebrate a hiloula, or prayer festival, at the tomb of the Jewish saint, Eliahou. Currently Casablanca has approximately 4,500 Jews who live outside the mellah in the new city, where they worship in over 30 synagogues, eat in kosher restaurants, entertain themselves in community centers, and attend Jewish schools and social service centers. Temple Beth-El is the largest synagogue and an important community center in Casablanca, Morocco. While the city boasts 30 synagogues, Beth-El, is often considered the centerpiece of a once vibrant Jewish community. Its stained glass windows and other artistic elements, is what attracts tourists to this synagogue. A document library, a video library and a photo library. The Museum offers guided visits, sponsors seminars and conferences on Jewish-Moroccan history and culture, and organizes video and slide presentations. On special request, it organizes group visits in Arabic, French, English or Spanish. Casablanca is also the home of the Hassan II Mosque, the second largest in the world. The Jewish community contributed to the construction of this mosque, which was inaugurated in 1994. Some Jews visit annually the Muslim shrine of Sidi Belyout, Casablanca’s patron saint. Many Jews of Casablanca celebrate the hiloula of the saint Yahia Lakhdar in Ben Ahmed, about an hour south of Casablanca near the town of Settat. Kosher Food in Casablanca: For kosher food while visiting Casablanca’s Jewish sites, dine at Cercle de L’Alliance. E.J.J Dairy or La Truffe Blanche. Cercle de L’Alliance is one of the centers/buildings where Jews from Casablanca hang around. The bottom floor/lobby is where people sit around, smoke cigars or cigarettes and socialize. You will also find a small bar and a mid size restaurant on the same floor with great appetizers and outstanding food (Kabobs, Steaks, Hamburgers etc). You are currently browsing the archives for the Casablanca tours category.